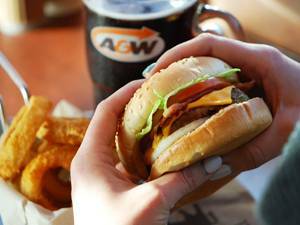 Since the first drive-in opened in Winnipeg in 1956, A&W has grown to become Canada’s fastest-growing burger quick-service restaurant (QSR), with over 950 restaurants and over $900 million in sales from coast to coast. Since the first drive-in opened in Winnipeg in 1956, A&W has grown to become Canada’s fastest-growing burger quick-service restaurant (QSR), with over 950 restaurants and over $900 million in sales from coast to coast. 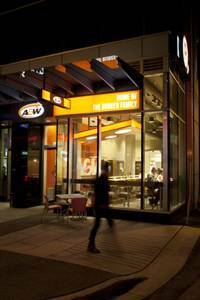 With our iconic Burger Family®, famous onion rings, and A&W Root Beer® served in frosted mugs, A&W has been an icon in Canadian culture. Along with our more traditional freestanding restaurant concepts, A&W has a new brand Urban concept designed specifically for busy urban areas. Our typical Urban restaurants are located in densely populated areas with high pedestrian traffic and range from 1500 – 2000 square feet. Locations are now open in Vancouver, Montreal, and Toronto, with aggressive growth plans for major metropolitan areas across the country. There are limited opportunities to partner with Canada’s second largest and fastest growing QSB chain. With aggressive expansion plans in Ontario and Quebec, now is a great time to explore the opportunities we have on offer. 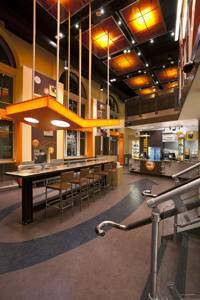 A&W provides development and design assistance along with initial training, as well as ongoing operational, marketing, and promotional support.